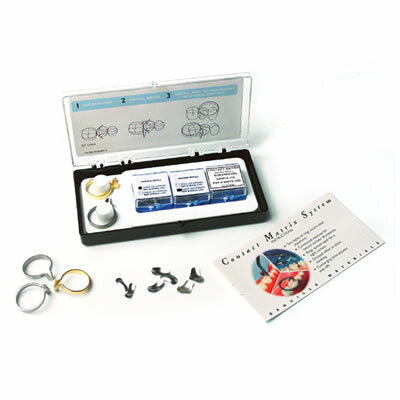 Danville Contact Matrix with Mega Rings make excellent contacts by applying the most force for the tightest contacts. The design allows for easy 'stacking' and converging tines prevent 'popoffs' and offer the widest tines to span preparations. Ultra thin Contact Matrices with Mega Rings are made of resilient stainless steel that resists crumpling.